As promised, Sautee, Georgia was my next Georgia back roads stop. I do have my favorites as I’m so not a shopper. Actually, I hate shopping but what I do like is seeing other artists with their talents displayed in a store with price tags on them. Art, you see, comes in all shapes, sizes, styles, languages, media and methods. Music is an art that holds very few choices of notes but an endless supply of combinations,genre, rhythms, intensity, chaos, synergy, synchronization and style. As does sculpting, painting, carving, turning, throwing and turbulence. For the size of the area, the junction of a T-bone, back road intersection of two little known highways (255 and 17), it never ceases to amaze me, lo’ these last 10 years or more, how it holds jewels of art. 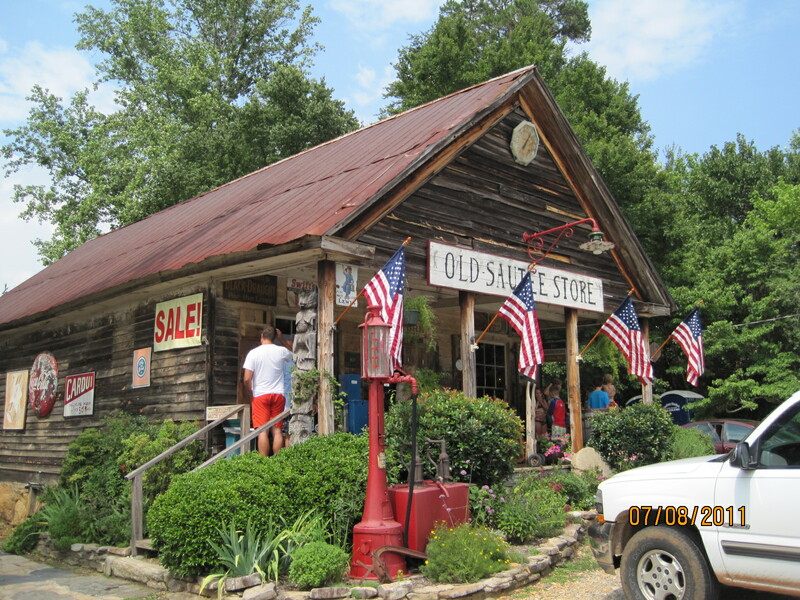 Old Sautee Store is the backbone of this small but growing community of stores. 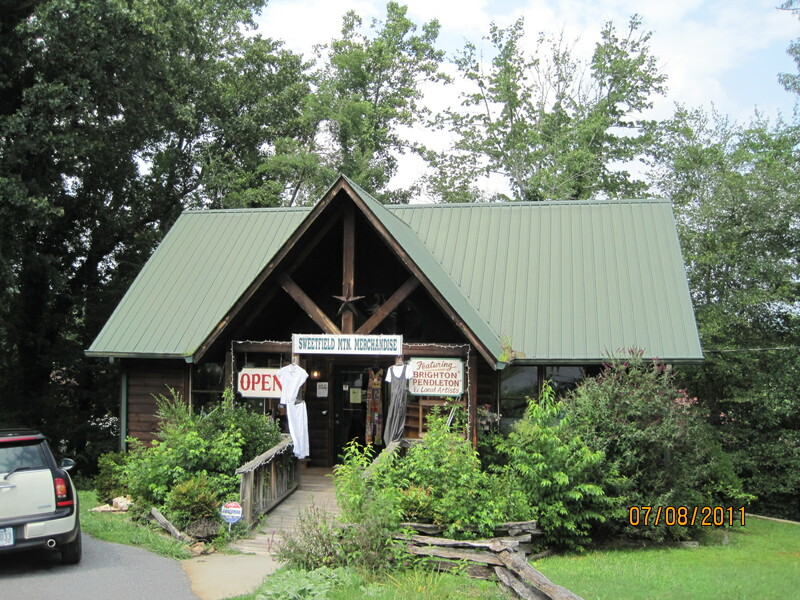 Old Sautee Store, established 1872 (www.oldsauteestore.com), has the absolute best Farmer Cheese on the planet. Farmer Cheese is a mild, tasty white cheese that’s fabulous with grapes, apples, crackers and wine. Yum. It also has some handsome Grog to be served with their ginger cookies, of course. Shelves stocked with items from yesteryear. When you walk into the front door, you’re reminded instantly of Little House on the Prairie or The Waltons. 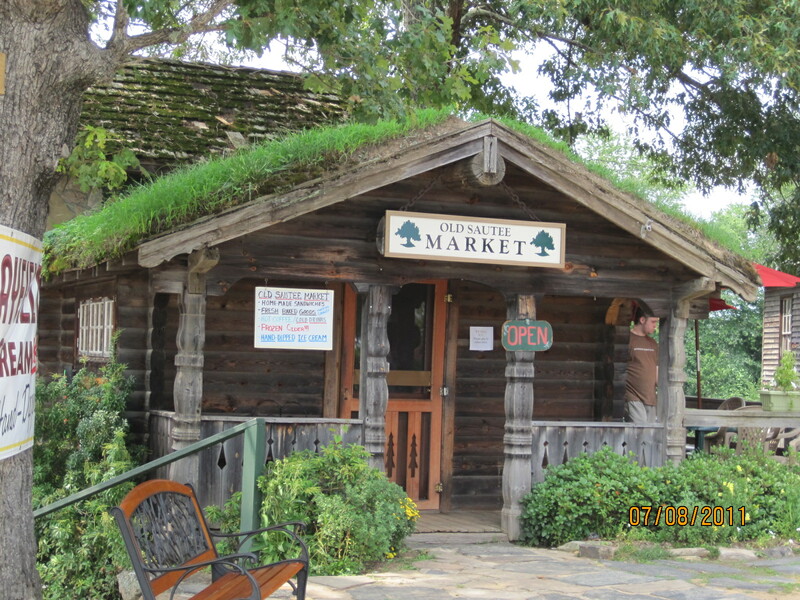 This general store was at a critical juncture for all who needed dry goods or tinctures in the late 1800’s living in this ancient Native American community. 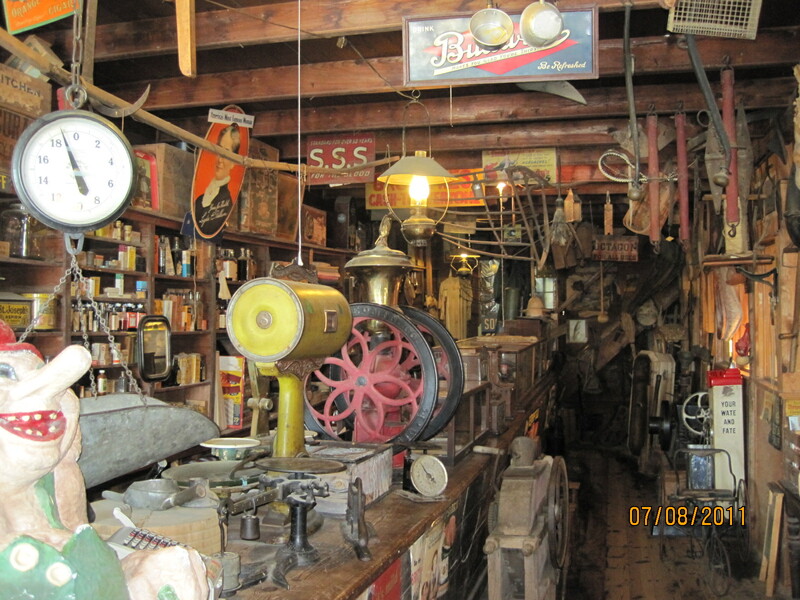 Old Sautee Store holds authentic treasures of the past with shelves stocked with products from days of old. 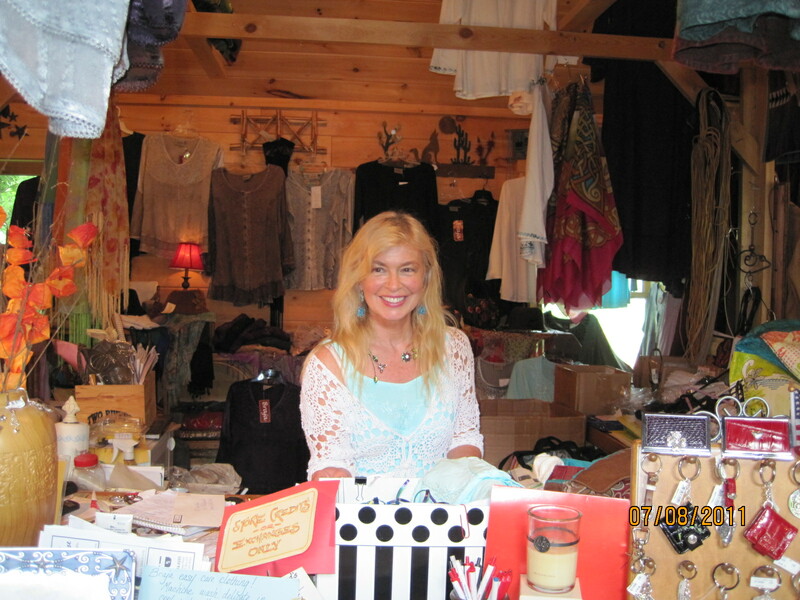 It’s the charms of yesterday that beckon you to delve deeper into this quaint store. Outside again, you are invited to have a snack or a delicious lunch inside the Deli inside Old Sautee Market which brings to mind an era of grass-covered roofs of the old country. 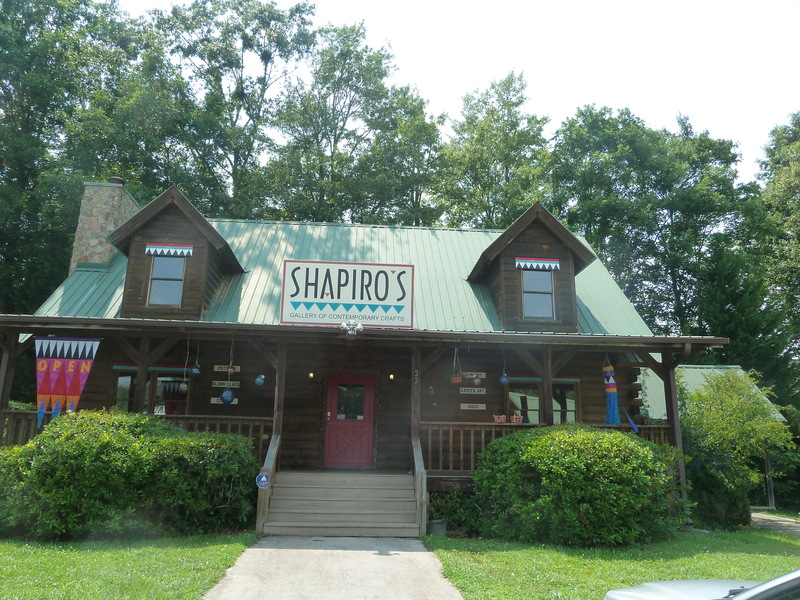 Shapiro’s always promises a display of some of the finest artisans’ (local and not) wares of both the unique and challenging varieties. From delicate, unique hand-crafted jewelry to a huge moose sculpture made from wheel hubs and steel, this shop is one of my all time favorites. It’s always a surprise when you go inside! My next stop is always to see my friends at Prairie Trails (706-878-8284). Fred Tinsley is always engaging and knowledgeable in the fine arts of Native American cultures. 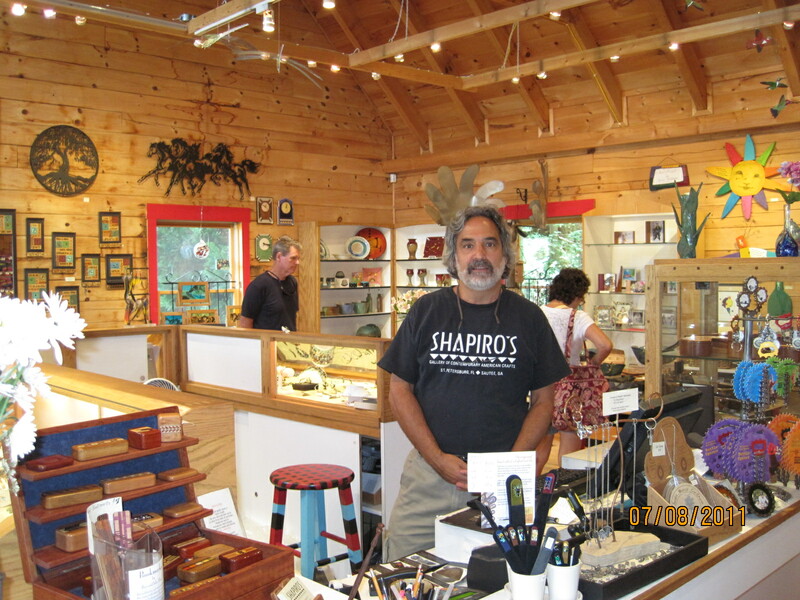 He is deeply steeped in their art, history and lives as he travels around to various reservations to collect only the finest items for sale in his shop. 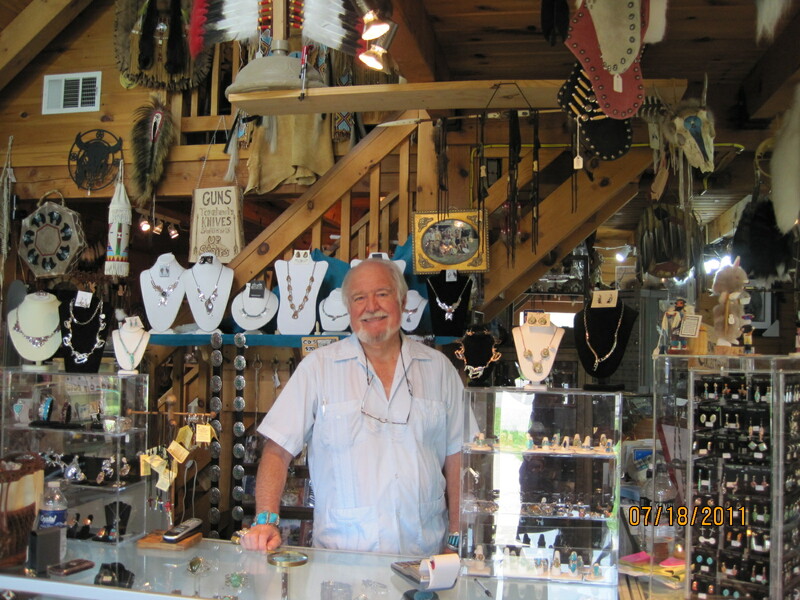 As you can see, there is not only a fine display of Native jewelry but also music, weaponry, Kachinas, pottery, knives, drums, leather goods and other paraphernalia. 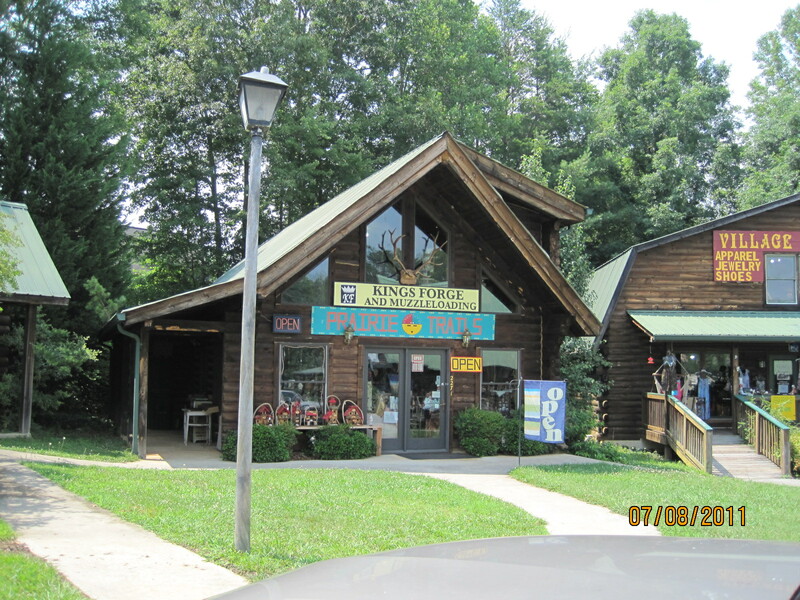 Next stop in this little area, all within easy walking distance from each other, is Sweetfield Mountain Company to meet Judy Hancock (706-878-3555). At Sweetfield, they have an eclectic variety of clothing, leather accessories, jewelry and home decor featuring favorites from Brighton and Pendleton as well as from local artists. 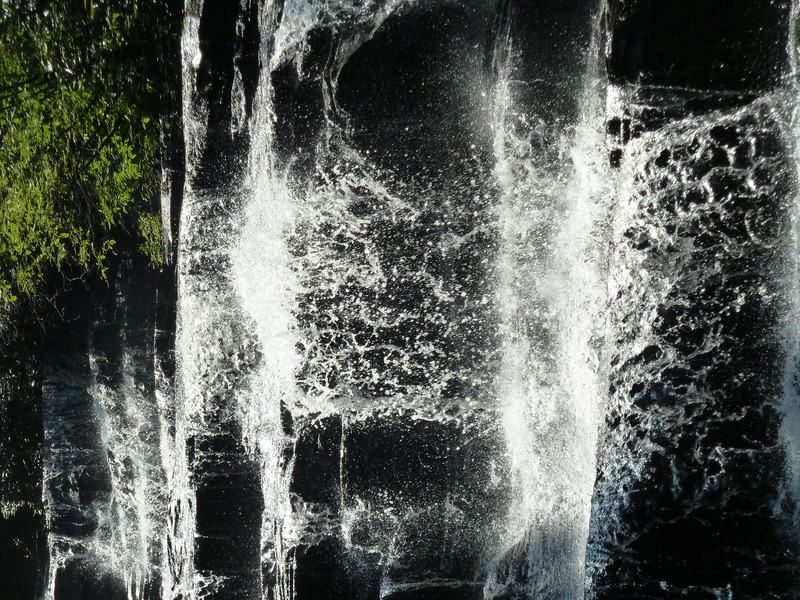 After leaving Sautee, my favorite easy and most breath-taking hike is just down the road a bit on my way home. 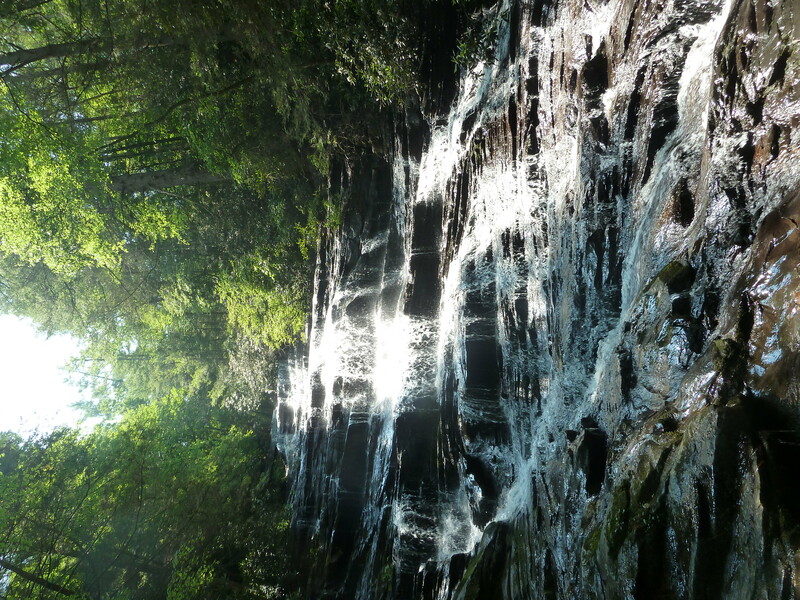 It’s a little known place called Minnehaha Falls in the Seed Lake area of Rabun County. Now, it was time to get back to the cabin and crank up for the first day of our annual family reunion.